A few weeks ago I shared with you my lovely day touring the Southern Living Idea House in Mt. Laurel, Alabama. The house is incredible and my favorite room was that of the darling and talented Atlanta designer Margaret Kirkland. 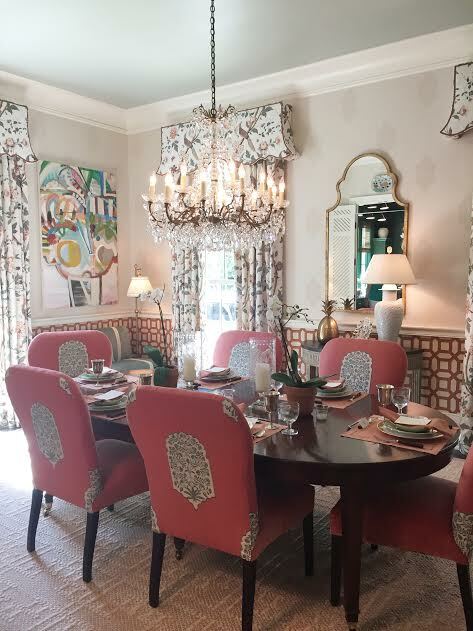 I met Margaret a few years ago when she designed a bedroom for the Atlanta Homes & Lifestyles Home for the Holidays showhouse and I adored her immediately. Those blue lacquer walls were everything! 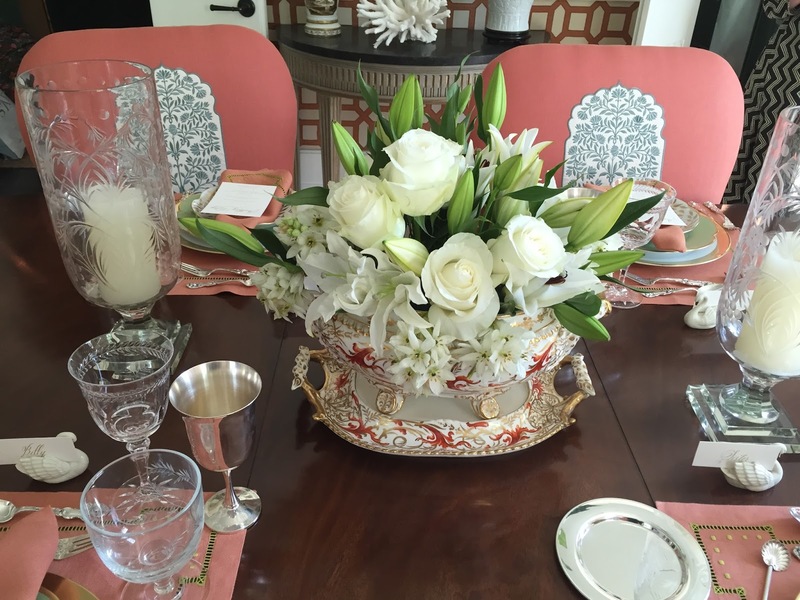 Her love for traditional design mixed with fabulous color inspires me and speaks to my heart. Defined by Southern Living Magazine as the "lively traditionalist" Margaret says "I just want to bring out the pretty in spaces". As you peruse her work you would agree she has definitely met her goal. When I wrote about touring the house I kept my photo sharing of Margaret's incredible dining room to a minimum knowing I would write this post. I am thrilled today to share my photos along with some Margaret shared with me and a fabulous interview she lovingly agreed to. You will notice the amazing details in the space complete with personalized menus and monogram place cards. And, as you know, those little details are everything to me. First of all, tell me about Margaret Kirkland. How did your career as an interior designer begin and how have you grown? I studied Art History & Studio Art at the University of Georgia, and ended up getting a job for NY designer Sara Bengur. Later I moved home and worked for Dan Carithers in Atlanta for many years. I was lucky enough to have studied at Parsons while in NY and to have worked for great designers. I really feel so lucky with all the opportunities that have come my way, and I always think everything happens for a reason, so you should keep an open mind. My biggest wish for living differently is carving out more time for seeing all the people I care about more often! I have learned so much from everyone I have worked with, from bosses to great clients to wonderful vendors. I consider my former boss, Dan Carithers, a major mentor in my design life. Dan taught me so much about design with fabrics, the different provenance of antiques, and layering everything together to make a space comfortable and inviting. I am also grateful to my mom for teaching me the value of a good work ethic, to think creatively to find solutions, and to always think of other people before yourself. Between those two people, and their big personalities, I have enough great one liners to do a stand-up routine! I love the challenge of giving personality to an empty space, and having clients love and feel connected to their homes. 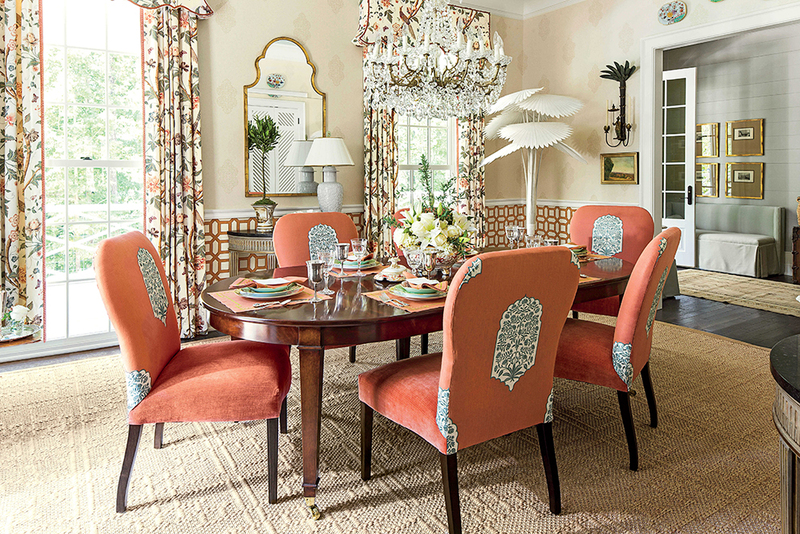 Southern Living called you "The Lively Traditionalist" which is the perfect definition of your style. How did your love of traditional begin? I think my love of traditional design began young having my mother and grandmother who were both classical enthusiasts, so instead of beaches, we were always visiting historic homes and towns during our family trips. Also working for Dan Carithers for years gave me a huge appreciation for traditional design, and reinforced that classic design never goes out of style because pretty is timeless. More than anything, I think that in the South, people have a lot of love for tradition, and honor tradition by trying to keep and use family pieces. Being a good Southern girl, classic style has always spoken to me. 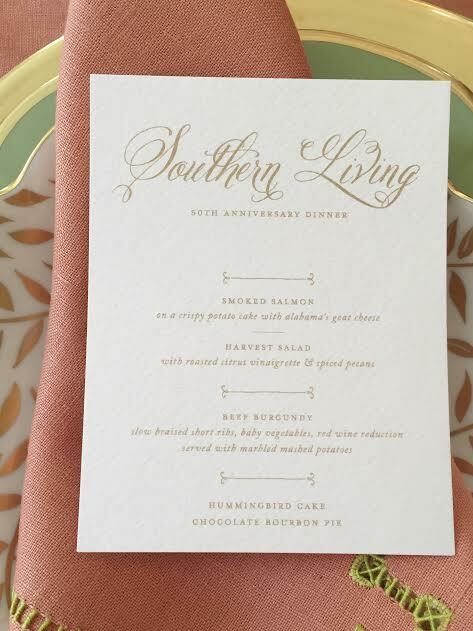 Tell me more about working on the Southern Living Idea House? It has been a dream to work on the Southern Living idea house all the way around! To be chosen to participate in this very special ideahouse celebrating the magazine's 50th anniversary is a huge honor, and it is a thrill to have worked with such talented designers. Also, SL's staff is so helpful and hard working, supporting us every step of the way in the design and installation process. southern Living's staff are the consummate hosts, always making you feel special and welcome any time you see them. I LOVE the dining room ... what is your favorite thing about the completed space? The mix of color, textures and all the natural light! Giving modern feeling to Southern classics and making it comfortable and approachable. I love to do them all! Bedrooms, Libraries, Living Rooms, Dining Rooms...just trying to create cozy comfortable spaces! Five things you think every good design needs. Anything you think needs to be left out. Fads are not my thing, and neither is buying something simply because its popular. You should surround yourself with things that make you happy. Good lighting, great patterns in fabrics and rugs, happy colors, fresh flowers, and a piece of porcelain somewhere in the room. "Decoration is really about creating a quality of life, and a beauty in that life that nourishes the soul, that makes life beautiful." There are so many things I love about Margaret's dining room. I love the mixed patterns on the wall with a third pattern on the drapery. Mixing pattern is something I love to do so this is fabulous. 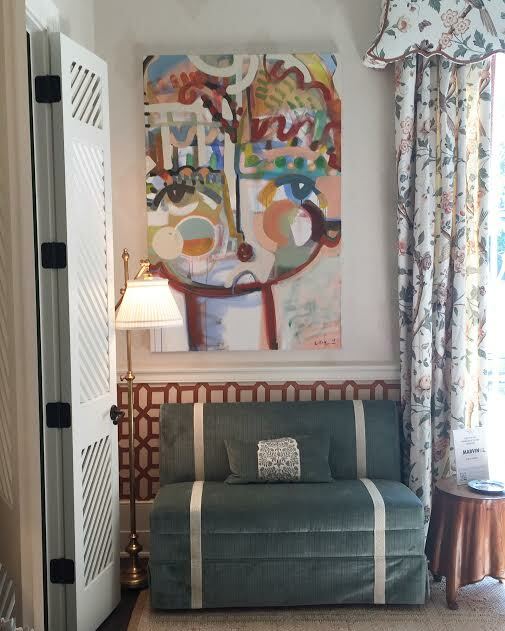 The incredible mix of the Sally King Benedict paintings and the palms add in new and playful elements to the traditional space. I love Margaret's use of symmetry with the matching tables and lamps and the placement of the paintings. 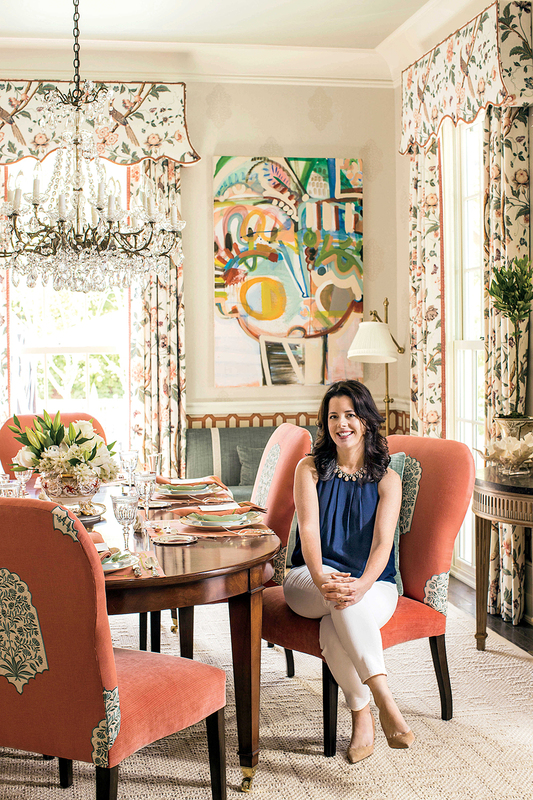 She has created a traditional dining room that is anything but formal or fussy. It is simply perfect! On the table no detail was left undone. I love the napkins layered with the menus and the place cards. 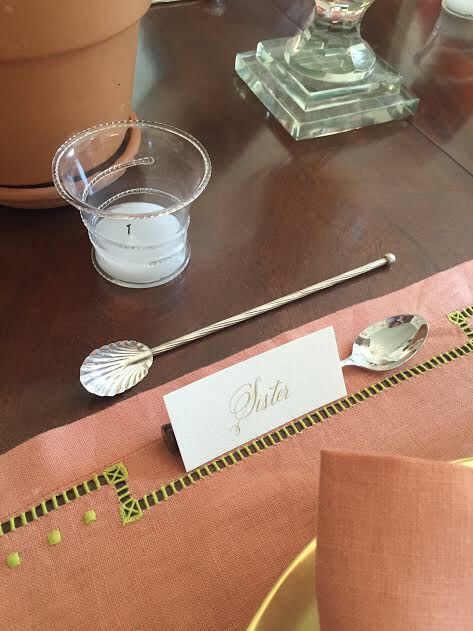 I do not use place cards enough and Margaret's room has inspired me to make sure I add them in to my next dinner party. You can view the entire Southern Living Idea House in my previous post and you can see more of the dining room in the Southern Living article here. Thank you sweet Margaret for agreeing to let me feature your work and for the fun interview. I always adore our time together and seeing your incredible designs is always a treat. Gorgeous Dining Room! Love the patterns and colors together.